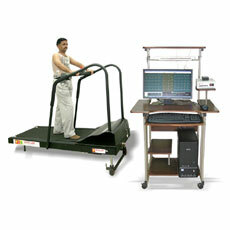 PC based cardiac workstation combines Resting & Exercise ECG in one unit. Digital Signal Acquisition Module eliminates noise & gives distortion free ECG signal. Full disclosure of all 12 leads for beat-to-beat analysis & extended documentation. User configured Multiple Report Format for Resting & Exercise ECG. The final report includes information on Blood Pressure, Heart Rate, Treadmill Speed/Grade, ST Trends relating to stage wise & recovery phase. Simultaneous acquisition & display of 12 lead Raw ECG during the resting & exercise ECG mode. F1 to F8 shortcut keys for important functions. Treadmill Soft Stop option for stopping the treadmill after 20 seconds in Recovery Mode. Customized Lead Sequence for Display. 6 Choice of displaying Lead with Maximum ST Level Depression or Elevation in the Average Complex. Choice of 4 fonts for printouts. Web enabled software allows sending images via email. Facility to get system generated Auto Statement Report.